CHICAGO, Jan. 18, 2017—Technomic has identified five themes that will define consumer foodservice behavior this year, and presented them at Technomic’s annual Consumer Insights Planning Program meeting, January 11-12, 2017 in Newport Beach, California. A comprehensive analysis of evolving consumer lifestyles paired with exclusive industry, menu, operator, and consumer data signals that 2017 will see an accelerated fragmentation of consumer attitudes and purchase drivers. Patronage polarization — Instability has reached new levels due to increasing uncertainty. 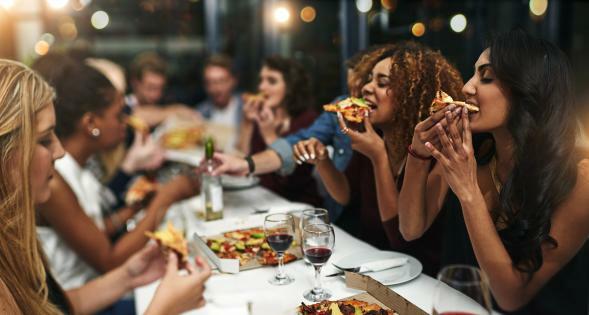 Though lower- and middle-class consumers will curb foodservice spending until instability subsides expect few cutbacks among affluent consumers. Food beyond fuel — Healthy intentions are starting to drive heathier orders, even away from home. Operators will increasingly tout a balanced approach as the “best medicine” to support an overall healthy lifestyle. Click here for a more in-depth visual look at these trends. To inquire about consumer trend-tracking insights from this forecast, contact one of the individuals below, or visit http://www.technomic.com for more information.